The Royal City’s Track Club excelled again at their second competition meet of the season at the 2012 Jesse Bent Memorial Meet in Coquitlam this past 9th-10th of June. With a squad of 42 athletes competing at this very competitive event the City Trackers once again rose to the occasion. The club won a total of 92 top 8 finishes with 6 Gold, 15 silver and 12 bronze medals for a total medal count of 33 for the weekend! A highlight for the club were the Race walkers making their debut with great performances. Rebecca Larson won gold and teammate Olivia Noort won bronze in the 1999 girls 1500m Race Walk. Teammate and sister Katrina Larson took silver in her 800m R/W age group and Kathryn Oostenbrink did the same in her 800m R/W age group. In Javelin, Jenevieve Patry-Smith threw for a gold medal while teammate Shianne Lowka captured the bronze for 11yr old girls. Other notable performances on the weekend were; Grace Vanee gold in the 800m and bronze 1200m races, Ryan Jensen silver 1000m race and silver in 800m R/Walk and silver in 60m hurdles, Emily Chilton bronze in the 2000m and bronze for 1200m races, Kinsey Weir bronze in Pole Vault, Meg Lauener silver in 60m hurdles, Fraser Stewart-Barnett bronze medal 1500m steeple chase and 4th place 2000m race. In throws events Michael Baxter got silver in Javelin and 5th in shotput for 10yr boys. 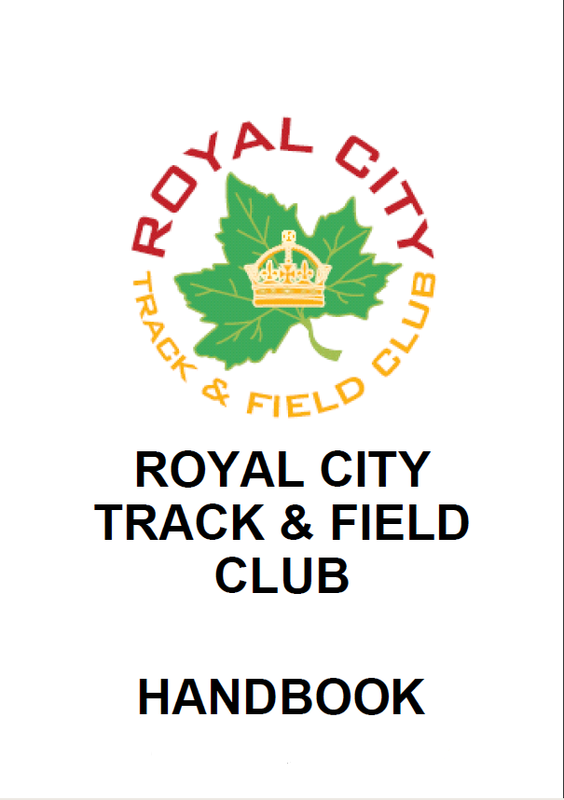 The next big meet for the Royal City Trackers will be the 2012 BCJD Pentathlon Championships 23rd June. 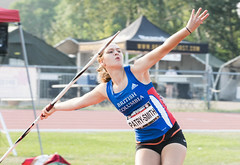 Here is Jeneviève Mighty Arm of Doom (MAD) Patry-Smith’s first place javelin throw of 23.46m from the Jesse Bent Memorial Track Meet in Coquitlam. It looks as though this may be an unofficial BC Athletics All Time Top Ten Performance throw. Jeneviève Patry-Smith was the sole representative of the club at the Elwood Wylie meet in Nanaimo on May 26/27. She threw personal bests in the shot put (7.78m) and the javelin (20.30m), placing 3rd and 1st, respectively, in the girl’s 11 year old category.